Dale Cregan was jailed for life for the murders of David Short, 46, and son Mark, 23, and of policewomen Nicola Hughes, 23, and Fiona Bone, 32, in a horrifying gun and grenade attack in 2012. The murder of the two female police officers shocked and appalled all right minded folk in the Uk and across the globe and I was profoundly saddened and sickened by this brutal and unforgivable crime. Since the abolition of death penalty in UK gun crime has risen substantially year on year and yet our police forces walk the streets largely unarmed and this makes them the envy of many other police forces throughout the world. 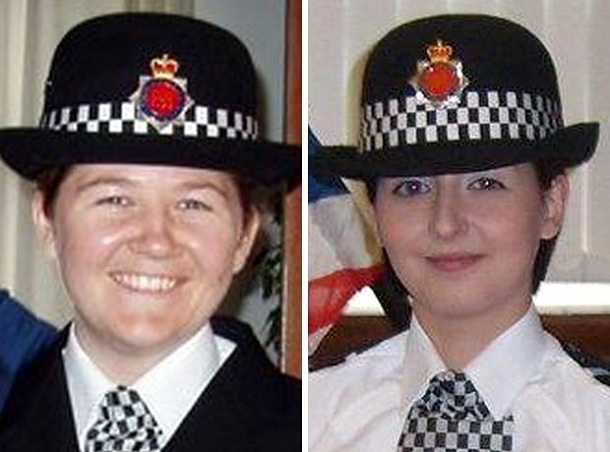 Sadly many good men and women within the forces have died at the hands of gun/knife wielding madmen and the death of these two innocent police women is testament to how dangerous the job is. See below for a list of all police deaths in the line off duty. Dale Christopher Cregan (born 6 June 1983) is an English convicted drug-dealer and murderer who was sentenced to a whole life order in prison for four counts of murder (including the killing of two police officers) and three separate counts of attempted murder, meaning that he will never be released from prison. On 25 May 2012, Cregan shot dead Mark Short, 23, in the Cotton Tree pub in Droylsden, Greater Manchester. In the same incident, he tried to kill three other men. 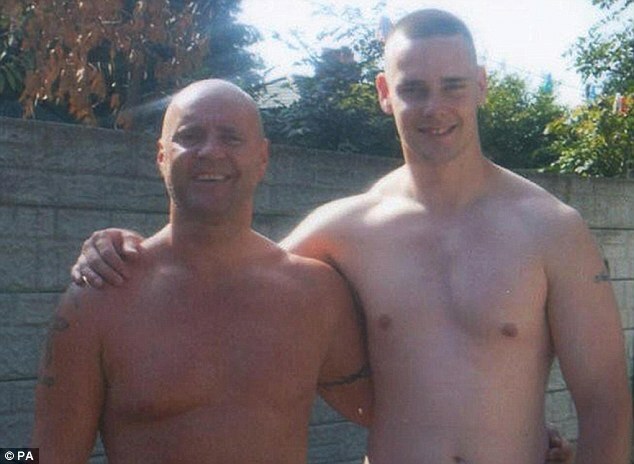 On 10 August, he killed Mark Short’s father, 46-year-old David Short, at his house in Clayton, Manchester by shooting him nine times with a Glock pistol and then throwing a M75 hand grenade onto him, blowing his body apart. On 18 September 2012, Cregan made a hoax emergency call to the police. Police Constables Nicola Hughes, 23, and Fiona Bone, 32, Greater Manchester Police officers, were mobilised to Cregan’s call in Hattersley. He claimed that there had been an incident of criminal damage at his house. When they arrived, Cregan ambushed the constables, shooting them and throwing an M75 hand grenade at them. Both officers were hit by at least eight bullets as Cregan fired 32 shots in 31 seconds. He later handed himself in at a local police station, admitting to killing Hughes and Bone. He was swiftly charged with these murders, and soon afterwards charged with the murders of Mark and David Short. During his trial, which began on 4 February 2013, Cregan was detained at Manchester Prison. 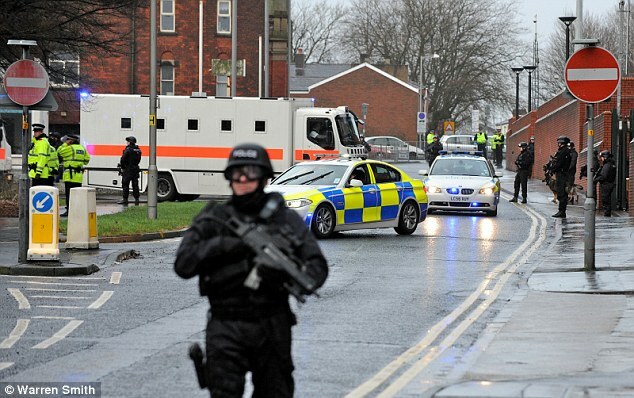 The trial was held at Preston Crown Court, where scaffolding was erected to accommodate armed officers. Police snipers watched over the building from nearby offices. The daily convoy, carrying Cregan between Manchester and Preston, included two prison vans, police cars, motorcycle outriders and a helicopter. In total, 120 Greater Manchester Police officers were deployed daily. The total cost of the trial was in excess of £5 million. Cregan was convicted of all four murders and of three attempted murders in the Mark Short incident. Cregan was sentenced to life imprisonment with a whole life order on 13 June 2013. In August 2013 it was reported that Cregan was on hunger strike at HM Prison Full Sutton. He was moved to Ashworth Hospital in September 2013. A former police officer filled out his own death report before taking his own life after two of his colleagues were murdered by one-eyed gangster Dale Cregan, an inquest has heard. 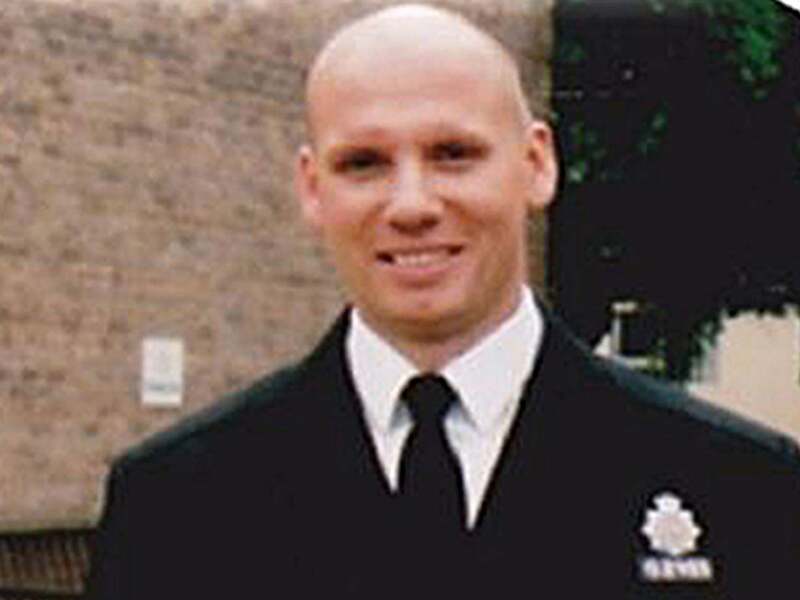 Andrew Summerscales had “loved” being a police officer until fellow officers on his shift, his “very good friends,” Nicola Hughes and Fiona Bone, were both murdered by Cregan. He is believed to have been one of the first officers on the murder scene. Cregan, who was already wanted by police for the double murder of a father and son, lured the officers with a bogus call before killing them in a gun and grenade attack in Hattersley, Tameside, in September 2012.